Sugarbush Valley: An ideal life: 24 days - Budgeting for the trip. While Skimble was having a great time with her friends in the park, Alonzo did some head scratching about the budget for their trip. Lovely photo! My daughter loves that slide! She keeps on making the babies go up the stairs and then sliding them down :) From what sets are the benches from? 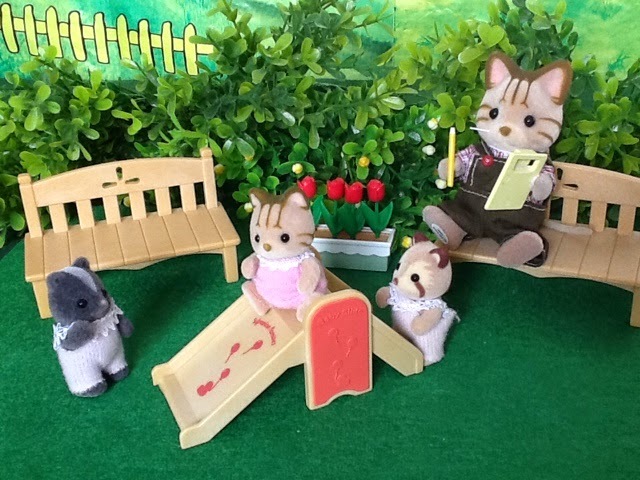 Thank you Jane, the benches are from The juice bar set. She is called Lavender and yes she is adorable! Thank you, it was so difficult to only choose two babies to play with Skimble I would've had them all there. I hope Alonzo got the numbers right. It would be a bit late to cancel the trip after all these preparations.